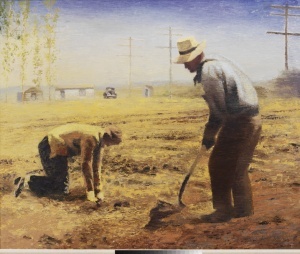 Using works from the Springville Museum of Art's permanent collection, "Round Up" celebrates and examines the icons and ideals that shape ongoing visions of the American West. Visitors are invited to mine their personal experience for relevance and meaning as they decide, which of these icons resonate with their own vision of the West. 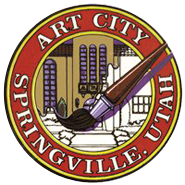 Featuring works by: Solon Hannibal Borglum, Royden Card, Mabel Frazer, John Hafen, JT Harwood, Joseph Henry Sharp, Dennis Smith, Gary Ernest Smith, LeConte Stewart, Minerva Teichert, Irene Warren and several others.